Living in a fast-paced world means that more students today are career focused, which is why colleges and universities across the nation are supplementing their traditional campuses with fully accessible distance learning programs. With an increase in demand for accessible and flexible higher education opportunities, online schools are more popular than ever, and more affordable too. Attending school online is a respected and accredited avenue for obtaining a college degree and a great way to get a jump start on your education even if you haven’t settled on a career. Furthermore, it’s a way to fast track a higher education opportunity without sacrificing your academic goals. 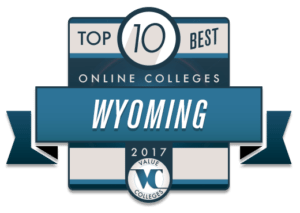 In this Value Colleges Best Top 8 list you’ll find colleges that are located in Wyoming that offer the best online programs in the state. Most colleges on this list are Community Colleges but all offer fully online degree programs. Each institution listed meets Value Colleges Best Value credentials with a solid ROI and institutional accreditation though it is important to note that the annual tuition prices reflect the national IPEDs data since oftentimes online degree costs can vary program to program. Each school offers degrees that students can obtain partially or 100% online and some also offer continuing education or certificate programs. The University of Wyoming was founded in 1886 and over a hundred years later still holds self-proclaimed roots in the rugged west. The school was initially a land-grant institution and today employees top faculty in their fields and educates local, statewide, national and global leaders. 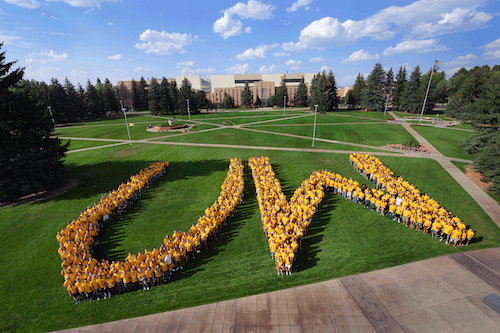 Dedicated to diversity and offering real-world experiences for all students, the University of Wyoming boasts the largest study-abroad scholarship endowment of any four-year institution in the nation, making experiences outside of the classroom an attainable dream for hundreds of students! Both the traditional campus and online students benefit from focused academics combined with hand-on, real-world opportunities like internships, service experiences, and job or professional training. The University of Wyoming offers distance learning and degree programs fully online at the bachelor, master, and doctoral degree levels. Additionally, students can choose to enroll in any of the 400+ courses that are offered through the university’s distance technology programs. Online students additionally have access to labs, library services, and advisement, while benefiting from the flexibility of learning online. Although there are plenty of degrees to choose from, non-degree seeking students are also welcome to attend classes online. Laramie County Community College was established in 1968 and today has two main campuses in Laramie and Cheyenne, in addition to the colleges two outreach centers. The college combines academic learning with job and technical training, with most students ready for employment upon completing their degree. There are over two hundred associate of arts and sciences degrees to choose from. For some students, attending classes at one of the Laramie campuses is not an option. Today Laramie County Community College online offers fully online degree programs for students who seek additional flexibility when it comes to earning their associate’s degree. Some degrees are offered in areas such as Anthropology, Agriculture, Human Services, and Natural Science. Sheridan College is dedicated to helping students find affordable ways to complete their educations, which is why the school has over $3 million in scholarships and financial aid awards. The college is proud of it’s state-of-the-art facilities and the Mars Agriculture Center, which supports the institutions agricultural education and research. Students at Sheridan College can expect rigorous academics paired with real-world experience and a faculty and staff that is dedicated to one-on-one attention with each student. 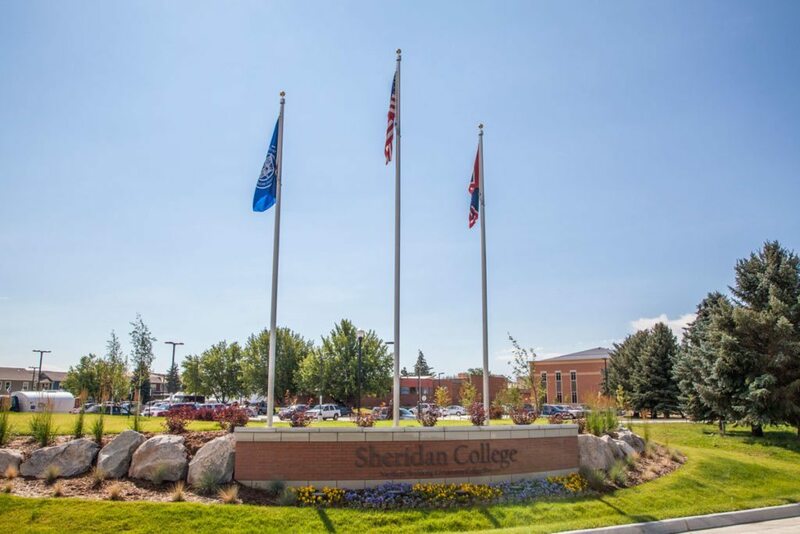 The school boasts “new, adaptive, flexible spaces to learn,” and this includes Sheridan College online where students can enroll in courses or obtain their degree fully online. The online center is a part of the North Wyoming Community College District (NWCCD) and works in conjunction with other community colleges to provide an array of online courses and degree programs. Some of these include associate degrees in Computer Information Systems, General Studies, Social Science, or Cybersecurity. 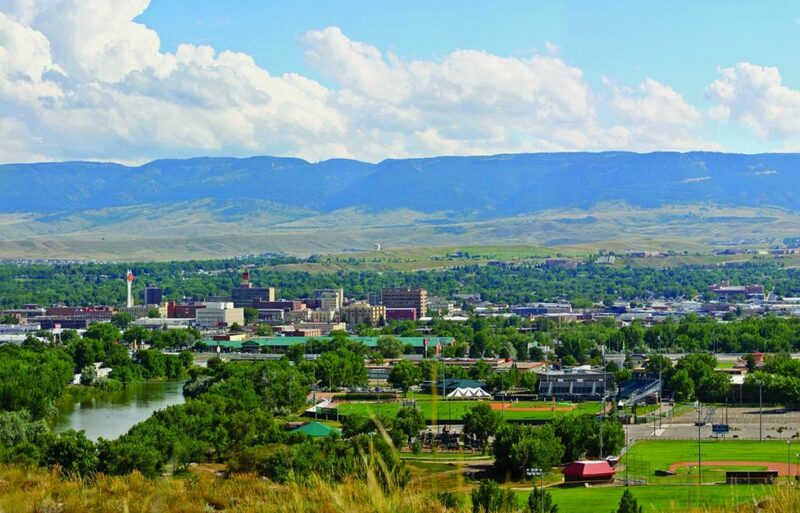 The largest and most comprehensive college in its region, Casper College is located in Casper, Wyoming and serves students from across the nation. Graduates earn associate degrees that either lead them on to a four-year institution to continue their education, or provide them with the means to pursue their professional careers. The college was established in 1945 and was also the states first junior college. Today the college boasts state-of-the-art facilities that span over 200 acres, giving students the big city feel in a small mountain town. Casper College online extends the campus mission from the classroom to the virtual space by providing programs and courses that are developed by the same qualified and educated faculty that lead courses on the traditional campus. Online learners benefit from student services like advisement and career counseling, as well as one-on-one assistance from faculty and staff when needed. Students can choose from programs such as Psychology, Retail Management and Merchandising, or Agriculture and Agri-business. Western Wyoming Community College is a public, two-year institution serving primarily regional students and individuals from the state of Wyoming, with a special focus on serving veterans and military personnel. The college is recognized and accredited by the Veteran’s Administration and the school’s commitment to inclusion is recognized through their Disability Support services. Attendees benefit from strong academics blended with real-world local experiences that enhance not only their learning while at Western Wyoming, but also the community in which they live and work. Virtual students at Western Wyoming Community College online get the best of both worlds, obtaining the same quality education while maintaining their current jobs and other commitments outside of school. Services such as Workforce Development, advisement, and veteran services are available to all enrollees online, near and far. Some fully online programs include associate degrees in Criminal Justice or Social Work, and a number of certification options. Eastern Wyoming College was founded in 1948 and today serves both degree seeking and non-degree seeking students from across the state. The college is dedicated to instilling a passion for lifelong learning while preparing students for the workforce. They achieve this mission by combining challenging academics with hands-on, work-force experience including job training, internships, and service opportunities. Tuition is reasonably priced with lots of opportunities for financial aid, making it more affordable than ever for students seeking their associate degree to attending college, both on campus and online. Eastern Wyoming College online furthers the mission of the campus by reaching students who would perhaps not attend two-year college otherwise. Primarily serving adults and working professionals, online learners at Eastern Wyoming have access to rigorous academics at their fingertips, and flexibility in enrollment and course completion makes it easy for busy students to earn their degrees. Located just a few hours from Yellowstone, the nations first National Park, Central Wyoming College naturally offers a wide variety of academics that focus on the local ecosystem, in addition to other arts and science studies. 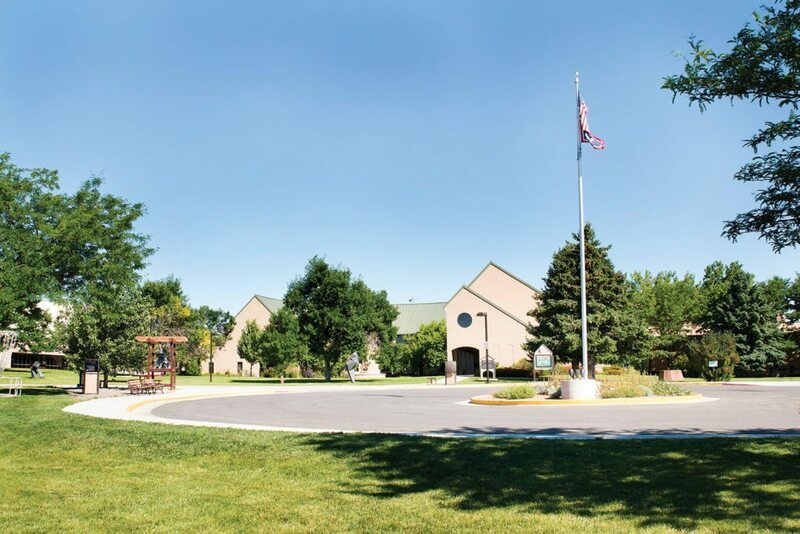 The school has one main campus with three additional outreach centers, and primarily serves the central Wyoming region. In addition to traditional academics, the college also offers continuing education programs, professional development, adult education and career readiness services, and an online school. Central Wyoming College online provides coursework and degree programs to students who need a little more flexibility when it comes to classroom time and coursework. All distance learning courses carry the same academic quality as the courses on the traditional campus. Students can choose from five degree programs including associate degree programs in Criminal Justice, Homeland Security, or Business Management. Northwest College is a student-centered institution, awarding two-year associate degrees and professional certifications, while instilling a passion for lifelong learning and by offering a strong continuing education program for non-degree seeking students of all ages. It was founded in 1946 and today meets the needs of the region and the state of Wyoming through academics and local and statewide enrichment. Northwest College online offers the same quality academics online to distance learners near and far through the Moodle system, an easy, accessible platform for the deliver of online courses. Students have additional access to advisement and career counseling as they study to obtain their associate degree, or complete courses online before transferring to a four-year institution and beyond.